The 3rd A3 Roundtable Meeting on Chemical Probe Hub was held in Jeju island in Korea. There were around 50 oral presentations by “front-line” researchers and around 40 poster presentations by young researchers. All the researches were fascinating for me and I was inspired so much. 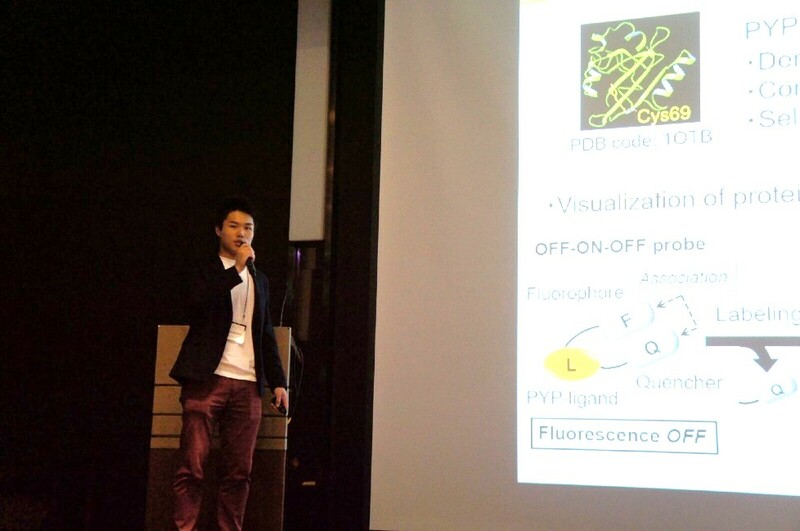 My presentation topic was ‘Development of Fluorescence-Switchable Probes for Detection of Protein Degradation’. I was glad to have discussions with big researchers, and to hear them saying “This is good research.” Without such opportunity, it is hard to objectively evaluate my work. They asked me many questions, suggested their ideas and advised me. Therefore, now, after the meeting, I’m motivated much more than before. I will keep this feeling to complete my work. In addition, one of them got interested in my work using PYP protein labeling method because PYP tag was smaller than other widely-used protein tags. Thus I explained the system and what we can do for a while. I hope the collaboration will come true in near future. I’m still just a student, but I experienced how such collaboration begins in researchers’ community. That will be helpful for me to become a “researcher”. As well as good sciences, the island was most fascinating with the beautiful ocean, magnificent landscapes and good food, reminding me of ‘Okinawa’, a popular resort in Japan. During our stay, the weather was very nice, and we enjoyed many places including world heritages. 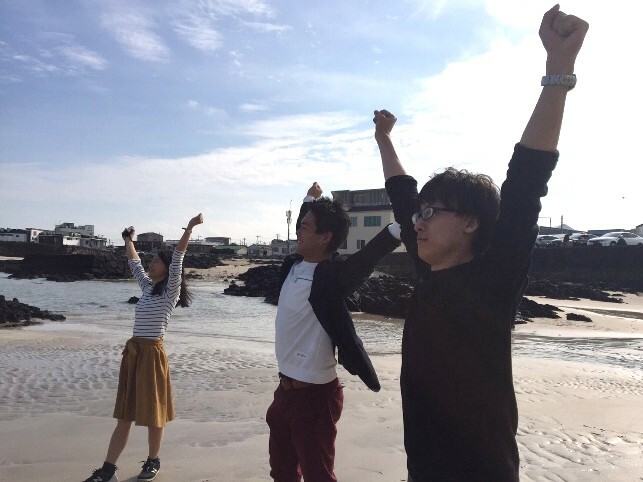 I liked Jeju very much, and I hope I will come again one day. Finally, I’d like to say “Thank you” to A3 Foresight Program faculty and organizers working hard to make this meeting successful. I appreciate them for every effort to prepare this great meeting. I’m very happy that I was accepted to this meeting, and, therefore, I hope I will participate in the next meeting next year to see all people who I met in this meeting.